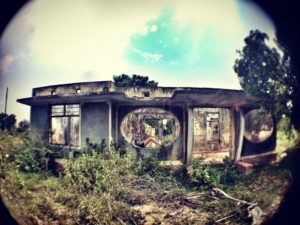 Have you ever been to place which reminded you a ghost town? 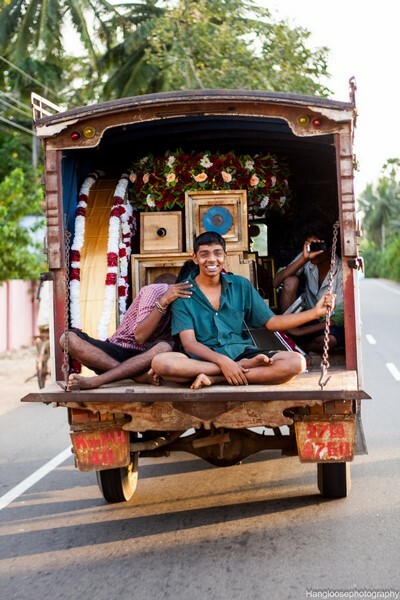 Well, that´s what some parts of Jaffna are like, but it has also beautiful nature, kind people and amazing food! After some changes in my project plans I have decided to join my new friend, Tim, for a trip to the North of Sri Lanka. I went there for the first time, two years ago, and I loved the contrast between the South and North, so wanted to experience it again. The culture and people are different from the South of SL. 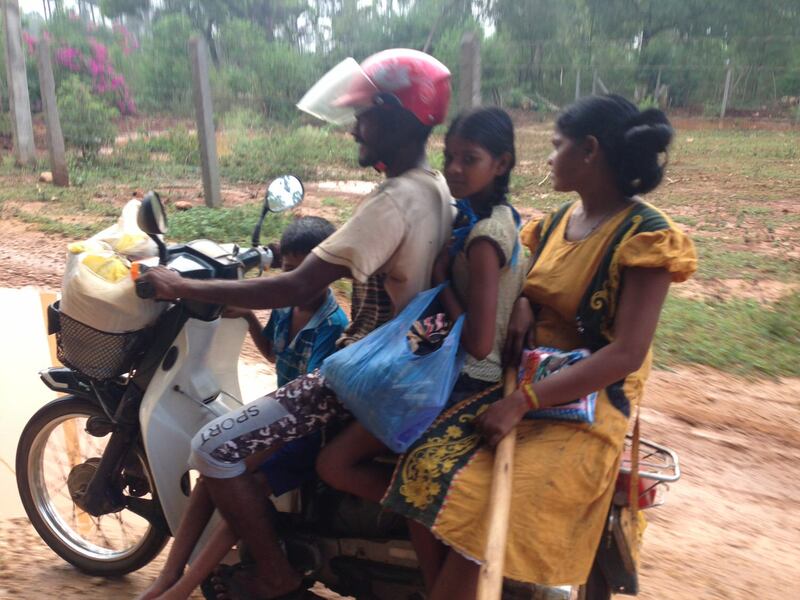 Jaffna is so much more like India, well, it´s only 100km from the Indian coast. We started our journey in the evening, still a bit hungover from a late Saturday party night. 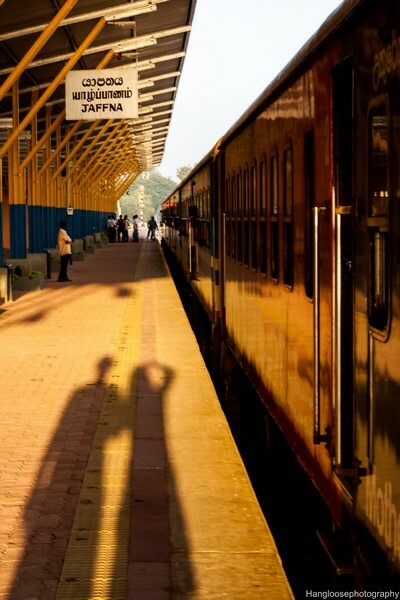 The plan was to get a room in Colombo and catch the first morning train to Jaffna. I knew there were hostels, just opposite the train station, so we went there. I mean after arriving in Colombo. 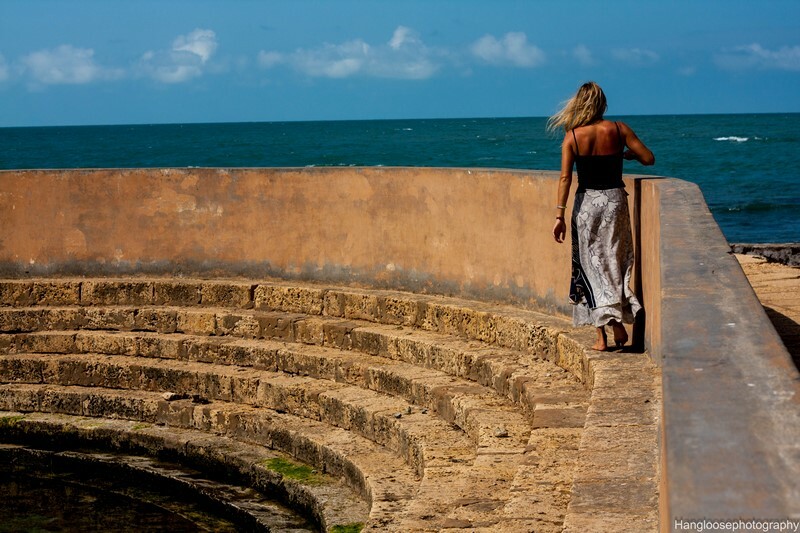 We took the last highway bus Galle – Colombo and then an Uber from Maharagama to Colombo Fort. When we told our plans to the Uber driver he was terrified, hah! He thought we were crazy, especially as I invited some random guy, at the bus stop, to join our Uber ride. I just wanted to be nice, it was late at night! And then the driver told me „It could be dangerous, what if the stranger passenger has drugs, we all will go to prison.blah blah…….“ I got a little scared, but then told him that I believe in karma, so nothing can happen to us, and he laughed so much. We found a hostel quite easily. 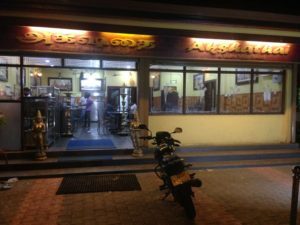 It was a bit dodgy and overpriced, but who wants to search for place for few hours sleep in the middle of night in this part of Colombo? Not us! In the morning we just crossed the street, bought breakfast and our train tickets and jumped on the train. I was surprised how full it was. There are two airconditioned trains a day to Jaffna. The ride takes up to 6 hours and costs 1500Rs. At one point it was freezing cold, inside of the train, and I wore all the clothes I had with me. So there I was again, back in Jaffna! When we arrived we walked out of the train station and turned first street left. There we are few guest houses, nothing special and pricey compared to the South. So we took the second one, it was less stinky and more clean, on first sight, bun Not on the second one though. 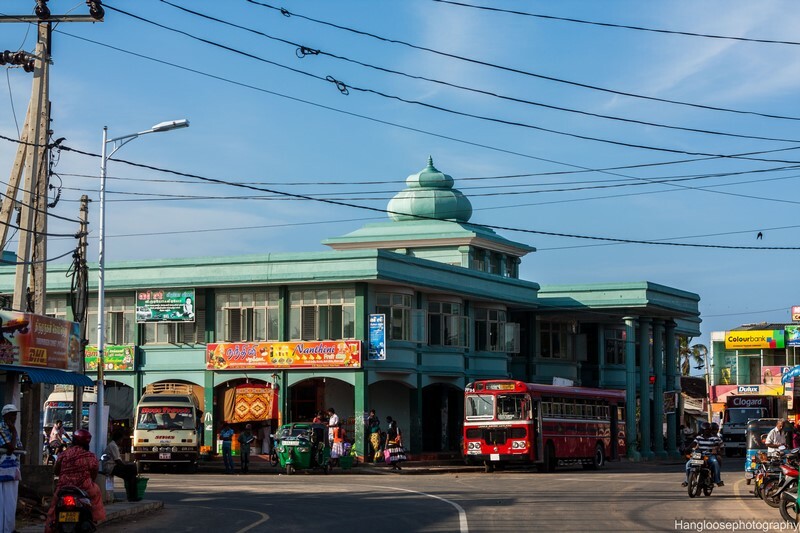 There is actually not much to do in Jaffna town. 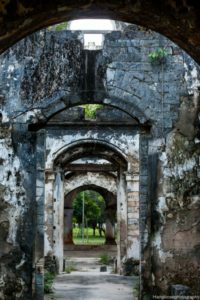 The colonial architecture is quite nice, the fort is under reconstruction, there are few christian churches and a boys school in a beautiful cathedral complex. Also the library is nice, that one was completely burned down during the civil war with the Tamils. The next day we asked the landlord to arrange for us a motorbike. One day is 1500Rs. and here the interesting part starts! I love riding on motorbike through those islands, they are connected with bridges and the view is amazing. We drove first to the island of Kayts, then Punkudutivu and back. If you have time, and plan your trip better then us, you can get a boat to another island called Nainativu where is a Hindu temple, although you see loads of them while driving in the area anyway. 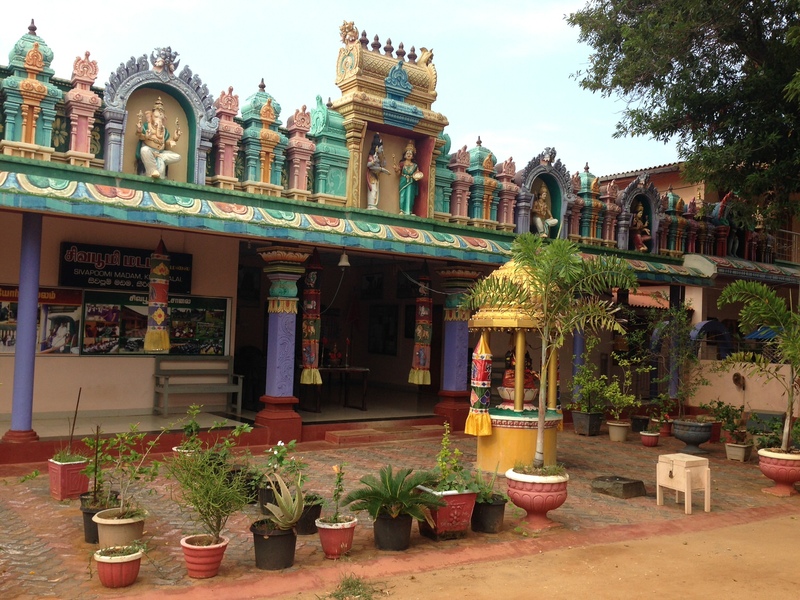 After that we drove back to Jaffna town and then to the North to a place with natural baths and another Hindu temple. They actually call Hindu temples kovils, but would you know what that was? If you are up North in Keerimalai Naguleswaram Kovil and you are hungry, a nice guy there will offer you lunch, and now he is renting two rooms, super cheap too. We tried to drive on the coast but the area is controlled by the Sri Lankan military, so you have to go a little way inland. We went a little further inland and, basically, we got lost , as it’s best to do, and should happen to you when discovering a new country. 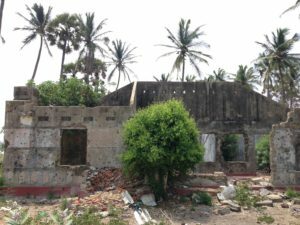 In Jaffna peninsula there are sooo many abonded houses. In a way it´s nice, but after a while I started to ask myself questions: „Why are those beautiful houses empty? Where are the people? What happend here?“. It became little bit depressive. On one side of the road a fence with soldiers with weapons, every hundred meters, and on the other side, lonely country. We were heading to northern most point of Sri Lanka – Point Pedro. It´s a small lighthouse, which, again, is controlled by the SL army, so you can´t visit it. Point Pedro is a simple fisherman‘s village with nice beaches. Who can say that they have been to the Northernmost and Southernmost points of Sri Lanka, Twice? Me! Me! And that´s about it! 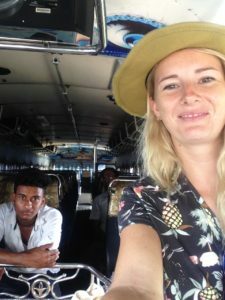 The next day we took a train and bus to Trincomalee. We didn´t know that it was already the off season there and, therefore, it was super boring for us. 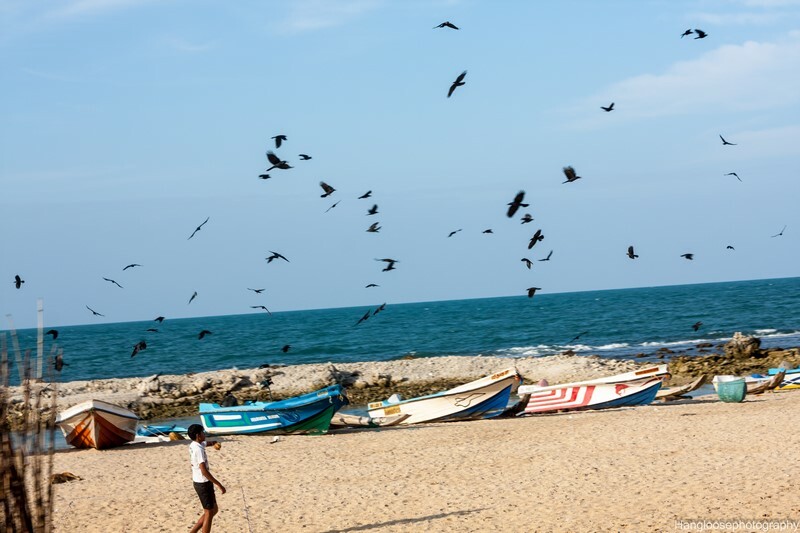 I mean it would probably be anyway, Trincomalee is something like Mirissa – beach, bars and snorkeling. 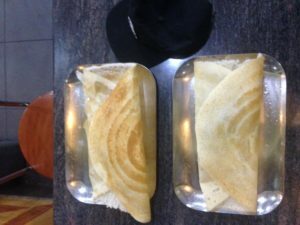 Best indian place so far – Akshathai (vegetarian), you have to try dosa! Guest houses are based around Hospital road. You don´t have to book your room in advance as tourism is still in the beginning there. You can find places from cheap home stays up to Jetwing hotel, depending upon your wishes/budget.